The canton of Fribourg is the first out of nine cantons in Switzerland to test and introduce the new electronic voting system developed by Swiss Post. The canton recently launched and tested the electronic voting system and was pleased with the initial results. The cantonal authorities were not only pleased with the outcome, but they are looking to develop the system further. By developing the new e-voting system 34% of the population from Fribourg living abroad will be able to vote electronically in all cantonal elections. This comes as a pleasant announcement to many officials. “Everything worked really well, both for the vote on the initiative and the second round of cantonal elections,” chancellor Danielle Gagnaux Morel told local news media. Fribourg is the only canton to offer e-voting to Swiss citizens living abroad who are registered in the canton’s electoral list. 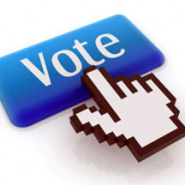 As the demand increases the e-voting system will be made available to more citizens. The new e-voting system is carefully designed to counteract hacking attempts; it involves cryptography in all its functional characteristics. Initially an old e-voting system was discontinued in 2015 by the Swiss government because of hacking fears. The new system is user friendly, many voters attested to the fact that it was easier to use than the previous one. The previous e-voting system also had major flaws in the protection of voting secrecy that is why the Swiss government wasn’t pleased with it. Because the previous e-voting system had serious deficiencies, in case of a hacking attempt or a cyber attack it would easily reveal the electors’ vote, and that wouldn’t be allowed by a democratic government. Once the new system has been fully approved around 97,000 Swiss based voters and 57,000 Swiss citizens living abroad will be able to use the e-voting system starting February 2017. Swiss citizens living abroad will be able to vote by a simple mouse click, moreover 30% of voters in Neuchatel and Geneva will be able to cast their votes electronically in nationwide votes. The government is keen to roll out the e-voting system across all cantons; its objective is to have two thirds of cantons introduce e-voting across the board for all voters by 2019.